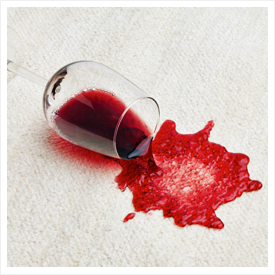 Stain Treatment | Magna-Dry | Carpet Cleaning Lafayette IN | Magna-Dry IN | Call now 765-449-0422! All Magna-Dry technicians have the ability to use special treatment methods to remove stains that were not removed during the cleaning process. Many stains will be set-in by other cleaning products so the overall results of “stain-treatment” can vary greatly, but you can be confident that when Magna-Dry attempts to reverse a stain all of our experience and all of the best products will be used…and we will not clean a stain that we know is irreversible and then charge for it. Instead, Magna-Dry will help educate our customers on the likelihood of permanent staining and will then decide together what cleaning actions, if any, are appropriate.